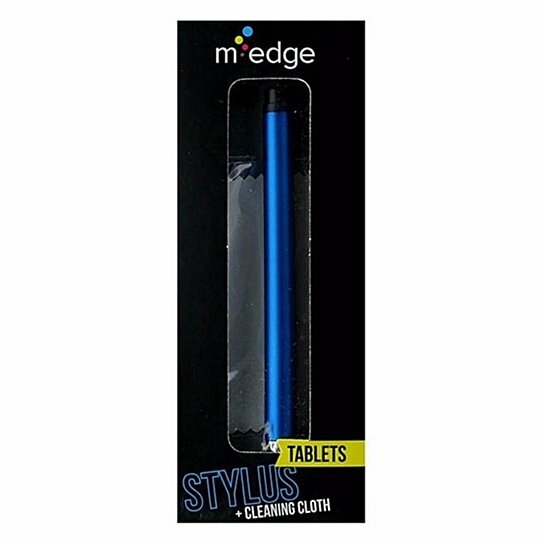 M-Edge brand products, Stylus with Cleaning Cloth for Tablets. Blue and black finish. Accurate and precise touch. Works with all capacitive touch screens. Includes screen-cleaning cloth.